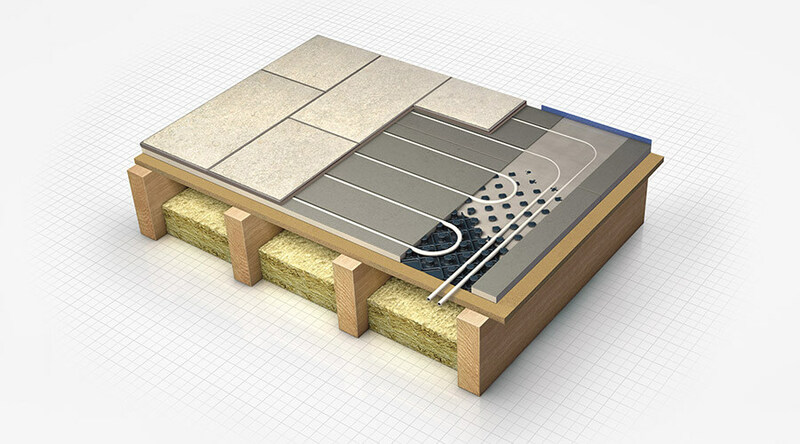 Did you know that it’s pretty simple to install warm water underfloor heating (UFH) on both ground and first floors? Aside from the fact that UFH maximises available floor space and is a safer option for children’s bedrooms than radiators, installing UFH on both the ground and first floors will improve the overall efficiency of the heating system – particularly where a heat pump has been specified. You can also opt for a solution that offers acoustic benefits, reducing airborne and impact noise transmission. For a straightforward and quick installation, keeping costs down, it is important to choose the right system for the job. Metal heat transfer plates, like Nu-Heat’s patented ClippaPlate® system, are placed over or between the floor joists to hold the UFH tube. Whilst there are a few different systems of this type on the market, they can vary considerably in the way they are installed and the quality of material. A good system in this category will give you the choice of either working from above, before the floor deck is fitted, or below, before the ceiling is fitted – either way there should be absolutely no added height build-up. 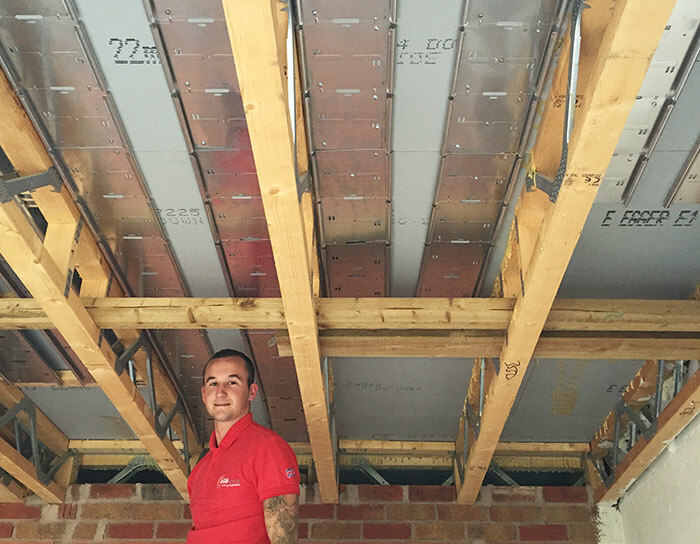 The benefit of installing the UFH from below once the upper floor deck has been laid is that it is quicker and safer and also enables other trades to continue with work upstairs – everybody wins. It is important to choose a strong metal plate system that will hold the UFH tube flush against the floor deck – this helps to give an effective heat transfer. If the metal plates are too thin they could sag or bow over time, meaning that the UFH will have to heat an air void, which can impact the response times drastically. LoPro®10 is an example of a retrofit UFH system that is also regularly specified in new build projects. This is a popular option when the floor joist structure can make installing UFH between joists impractical or the decision to include UFH is made later in the build schedule. This solution offers a good acoustic performance, helping to reduce airborne and impact noise transmission to the rooms below. Another option uses pre-routed polystyrene panels that are installed between the floor joists before the deck is laid. 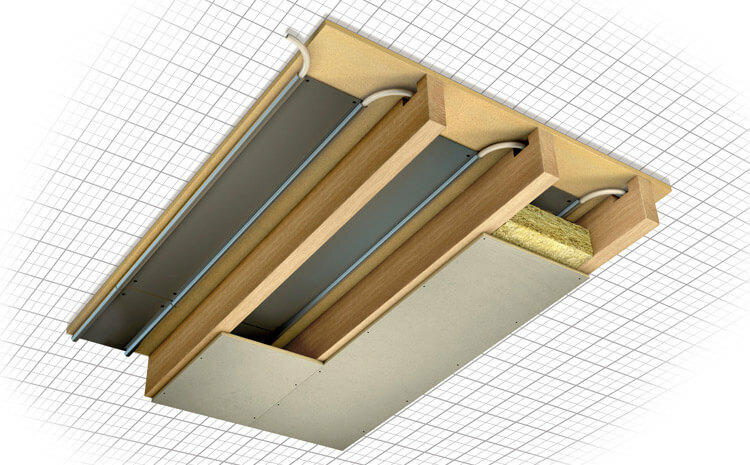 Supported on a plywood base, the panels are installed flush with the top of the joists and incorporate heat diffuser plates to spread the heat evenly across the floor. Although this method of UFH provides good heat output, the labour time to install the product can be prohibitive for new builds so tends to be best suited to retrofit installations where floor height build up is not possible. Thinking of installing UFH on a first floor? We are happy to talk you through the most suitable system for your project. You can speak to one of our UFH experts by calling 01404 549770.